The 2018 Easter getaway will last longer than previous years, with congestion increasing from today and return journeys creeping into Tuesday 3 April. 2018 Easter getaway traffic will last longer than previous years, according to Inrix. 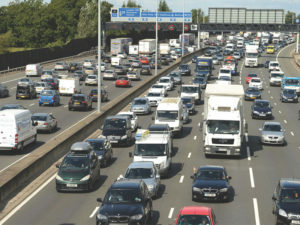 The prediction comes from travel analytics firm Inrix, which says that although the Easter period will see the number of cars on UK roads fall 2.5% compared to last year, traffic forecasts for both Maundy Thursday and Easter Monday show a 20% increase in the average number of cars being driven compared to usual. Similar to 2017, the most affected roads on Maundy Thursday will be the major motorways, with the worst delays three times longer than on an average Thursday. In contrast, Easter Saturday and Sunday are expected to bring a 25% reduction in the number of cars on the roads compared to average.